This article originally appeared on Pascal's Pensées, the blog of NYU psychology professor and Elsevier author Dr. Pascal Wallisch. 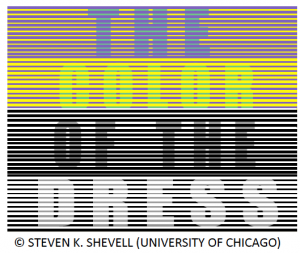 It's a follow-up to his story "Lessons from the dress: The fundamental ambiguity of visual perception," an excerpt of which we presented on Elsevier Connect as "Beyond the dress — the science of illusion." You can read that full post on Elsevier's SciTechConnect blog and Pascal's Pensées. Professor Wallisch has created this short survey to figure out whether there are any systematic reasons why someone might see one version or the other. "At this point, we simply don't know," he says. Results are anonymous, and the survey should take about 2 or 3 minutes to complete. Check back here in three days for the results. At this point, we have probably all reached "peak dress," been oversaturated by all matters dress and are ready to move on. But there is more. There is no question that "the dress" is the most viral image relevant to science in the history of the internet (well over 9 million tweets in 2 days). Some people noted that this is quite a self-indulgent debate in light of all the serious problems facing the world today. Don't we all have more important things to worry about? This is a particularly likely sentiment if someone doesn't immediately "get" what the big deal is about (people are more likely to "get" it, if the interpretation flipped on them as they were looking at the dress, or if someone close to them vigorously insisted that they sincerely see it different). 1. 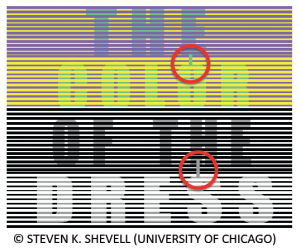 It's not about the dress – it's about visual perception and human cognition. 4. All of this has been documented many times – and known for over 150 years – in many domains of vision, but not color vision. To my knowledge, this is the first strongly "bistable" stimulus – where interpretations can be radically different – in the color domain. 6. What is particularly intriguing is that the interpretation readily shifts for most bistable stimuli like Rubin's vase, rotating spheres, etc. – but not for the dress. Some people never shift, others do but on a time scale of hours and once they flip, they can't flip back. This suggests that there is some kind of rapid perceptual learning going on, much like in "Dalmatian" like situations. 8. Which is the last point on this list – to my knowledge, this is the first time, a powerful stimulus display has been brought to the attention of science by social media. This also explains why this kind of thing hasn't happened before. Surely, many people have taken overexposed pictures of fabric (the fabric might matter, too) in poor lighting conditions before. But without social media to amplify the disagreement (social media seems to be best at that), it would have ended there. So what if you disagree with your friend? We all know your friend is a bit crazy and that's that. Easy to dismiss. But social media changes all that. So we could look forward to more of that. To summarize – and repeat – it's not about the dress. 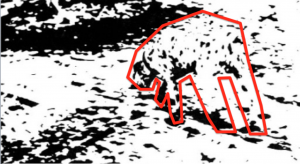 It's about visual perception and human cognition. If this is the first time you encountered that your perception – that you rely on to get safely through the day – is inherently and fundamentally unreliable, you might be skeptical, defensive or shocked. But that doesn't change the facts. So yes, ISIS is an obvious concern. But that doesn't mean "the dress" is trivial. It is not. As a matter of fact, I would argue that this could not be more topical. If we can't agree about the color of a dress, how can we hope for world peace? How can we foster tolerance if we don't allow for and don't understand that other people can sincerely see the world differently from us? What follows from this is that finding the original dress is not a solution to the issue. Neither will any clever analysis of light distributions in the image. There are no shortcuts here. In other to find out why the interpretation has flipped on you or why your interpretation disagrees with that of someone you care about, more research is needed. At this point, the answer is: "We don't know, but would like to find out". Dismissing things is easy. Research is hard. Note: We understand a lot about how vision works and how it doesn't render a veridical perception of objective reality. But that is not the point. Vision mostly just has to be useful for survival purposes. But that does not account for the fact that different people see the same image of the dress (on the same screen) differently. It is important to acknowledge our ignorance in this regard and plan to do some research to overcome it. Human perception is more variable than most people realize, both within the same person over time and between people. This goes beyond perception, by the way. Lots of people say things like: "You said x" or "this is offensive" – a more accurate statement would be "I understood x" or "this is offensive to me." Big difference. So it is always advisable to keep an open mind. #ItsNotAboutTheDress — Not my creation. This was one of the trending Twitter hashtags. 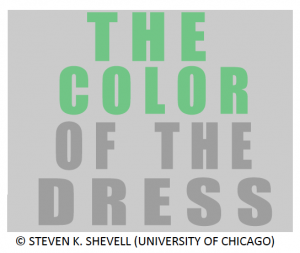 Read more about the neuroscience of the dress on Elsevier's blog SciTechConnect. Dr. Pascal Wallisch (@Pascallisch) received his PhD from the University of Chicago, did postdoctoral research at the Center for Neural Science at New York University, and currently serves as Clinical Assistant Professor of Psychology at NYU. His research interests are at the intersection of psychology and neuroscience, specifically cognitive and computational neuroscience. 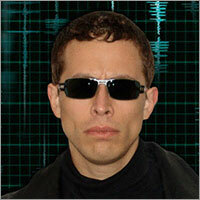 His work focuses on motion perception, autism and the appraisal of film. His blog is Pascal's Pensées. 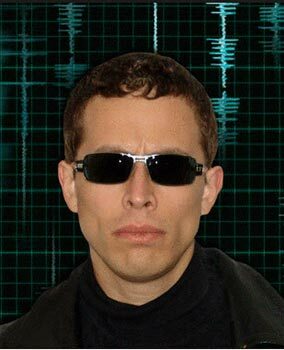 Dr. Wallisch is the author of MATLAB for Neuroscientists, 2nd Edition, published by Elsevier. The text serves as the only comprehensive study manual and teaching resource for MATLAB, the globally accepted standard for scientific computing, in the neurosciences and psychology. What does the emerging neuroscience of psychopathy tell us about how we should deal with it?